Hi I’m Jukka. I’m an airsoft enthusiast in my thirties. Welcome to my site dedicated to helping You find the best airsoft gear and deals on the market. I used to play airsoft for many years when I was younger but then life got busy with school, relationships, work, partying – all the usual stuff young adults do. Couple of years ago I had been looking for a new hobby for weekends and I remembered airsoft. Quick search on the internet revealed there was still an active scene in my city and games were being organized almost every weekend. 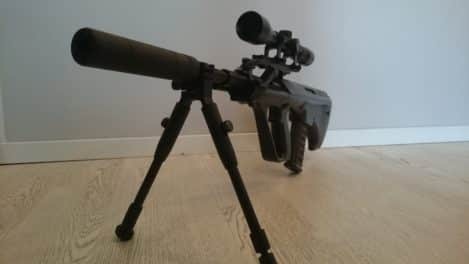 I actually still had my old Systema upgraded Marui Steyr AUG from circa 1998 so I got a new battery and to my surprise the gun was good to go (You can call that real quality). So I went in for a weekend game and have been hooked ever since. I was actually surprised I wasn’t even the oldest player on the field and the sport is more popular among young adults then teenagers these days. Now the real problem was getting new gear after the first game. Even though my trusty AUG was in working order it was clear at the games that technology had advanced and I was in a serious disadvantage. I needed a new gun (or two). I realized I had to get a new BDU, some tactical gear, BBs, LiPo batteries, optics and all that stuff since all I had was the AUG and some hiking gear. So I asked around and the guys were really helpful and let me test many kinds of guns, AEGs, pneumatics, spring operated sniper rifles etc. They talked about R-hops, neodymium engines and Li-Po batteries… I was pretty much embarrassed to admit I knew nothing about modern airsoft guns and my knowledge was very outdated. As I started to research for a good main weapon and it became obvious very fast that the options were endless. I spend countless of hours trying to figure out what I needed and what was the best bang for the buck. I finally settled with a Lonex m-4 variant since I needed something reliable and easy to maintain so an AEG (automatic electric gun) was the natural choice and Lonex is a top-notch brand. I like fast paced game play so snipers were out of the question. I was very pleased with my choice and the Lonex worked wonderfully out of the box even though I have upgraded it since with better motor, spring, battery and r-hop. I found out that many new players weren’t as lucky. They had ended up spending hundreds of dollars on equipment that did not perform adequately, needed constant maintenance and tinkering or down right did not work. Some had even ended the hobby all together out of frustration. 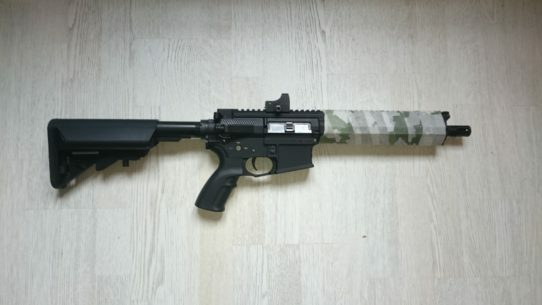 I think Airsoft is a great hobby and I don’t want You or any else to end up quitting it due bad experiences with gear. In all honesty airsoft is very much an equipment centered sport. Skill of course matter but especially for a beginner it’s very important to have a gun that performs and is reliable so You can concentrate on having fun and honing You skirmish skills. I feel passionate about airsoft and want to help people find the best airsoft gear for the best price so no one has to end the hobby due to disappointment in their gear! While doing my research I learned there are a lot of cheap knock offs and untrustworthy brands (mainly from China) and without ample research it is very easy to make a bad decision which can lead to disappointment and even quitting the hobby. That’s why I decided to create BestAirsoftGuns.net. The number one airsoft site dedicated to cut through the crap and find the best guns out there – no matter what your budget. My goal is to do the research for You and cherry pick the best gear on the market. I promise You anything You find on this site is worth it’s price and will make gaming fun and help You dominate the field!